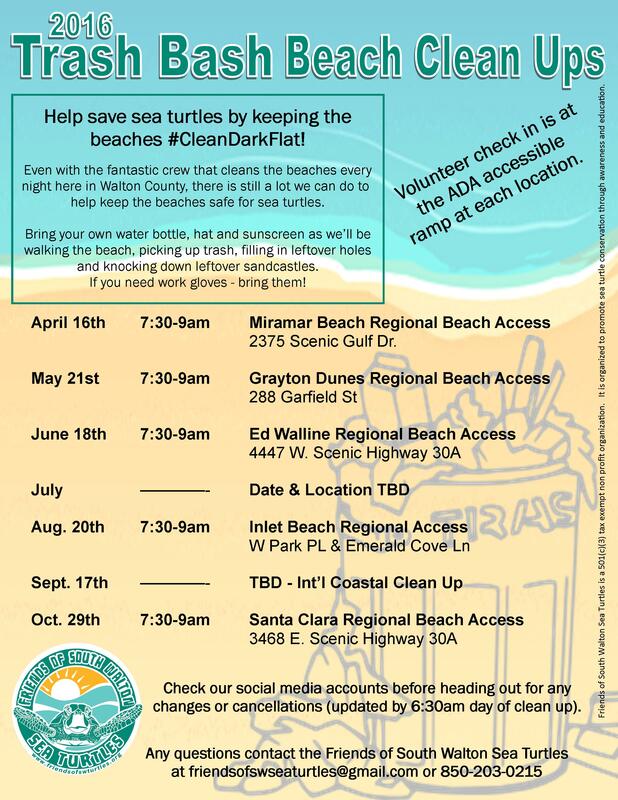 Each month we host a Trash Bash beach clean up throughout Walton County. 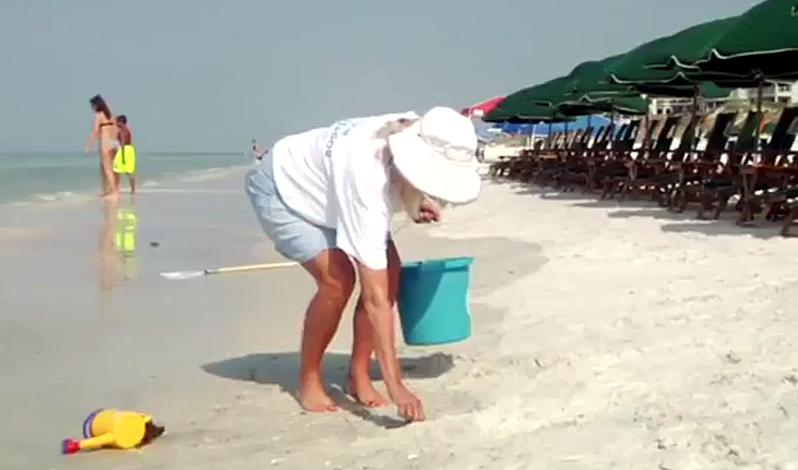 We are fortunate to have a fantastic beach clean up crew that combs the beaches every night to help keep our South Walton beaches in good shape. Even with this crew, there is still a lot you can do and we can do to help keep the beaches safe for sea turtles. So on April 16th from 7:30-9am we will be at the Miramar Beach Regional Beach Access (2375 Scenic Gulf Dr.) for a Trash Bash beach clean up. 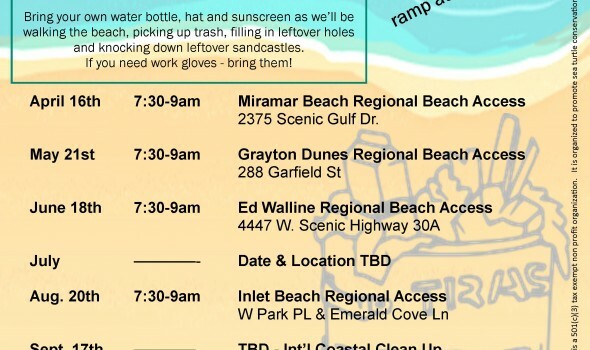 Bring your own water bottle, hat and sunscreen as we’ll be walking the beach, picking up trash, filling in leftover holes and knocking down leftover sandcastles. If you need work gloves, bring them! Volunteer Check in will be at the ADA accessible ramp in the middle of the parking lot. 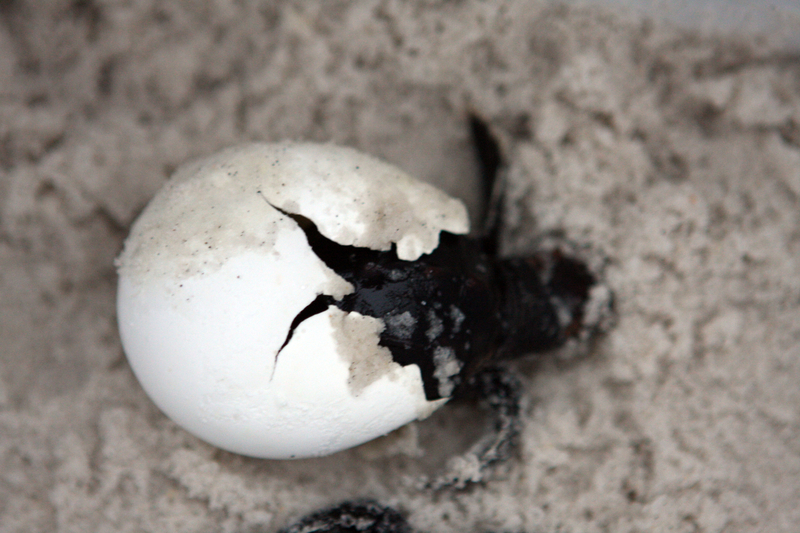 Sea turtles need all the help they can get in order to survive. 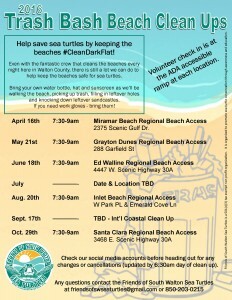 Be a friend to sea turtles and help keep the beaches #CleanDarkFlat!